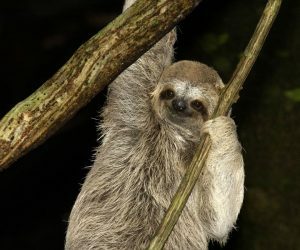 If you could see a sloth up in the trees of South America, you might think it was moving in slow motion. That slowness is actually the key to the sloths success. If sloths are so slow, how come they haven’t been gobbled up by predators and gone extinct? On the contrary, the slow movements are the essence of its success. 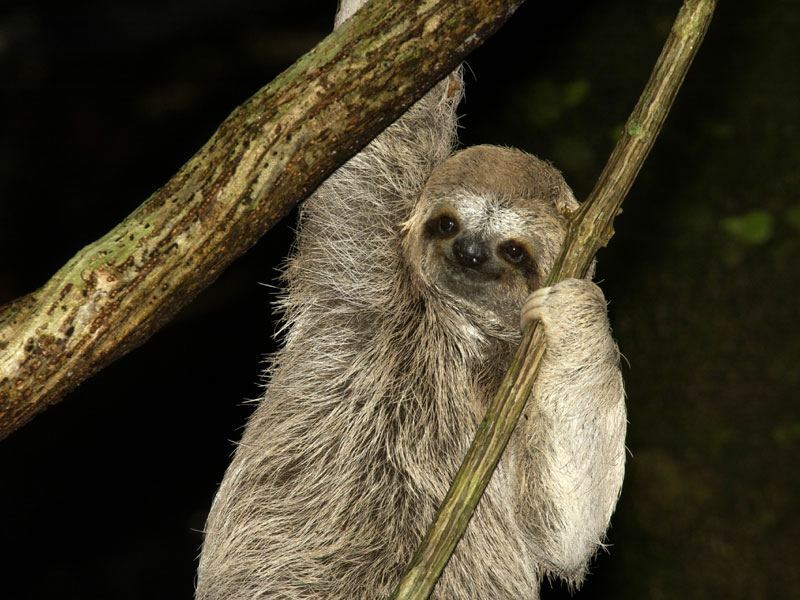 Sloths are tree dwelling mammals with tiny heads and long arms. They live in the tropics of South America. If you could see one, you might be amazed by the deliberate way a sloth moves its limbs, almost as if it’s moving in slow motion. The sloths’ predators include large birds of prey – such as the harpy eagle. These hunters usually detect their prey when it moves against its background. They keep their motion to a minimum – and they move very slowly when they do shift position. So they’re less visible to predators. What’s more, sloths have a unique form of camouflage. Most mammals have relatively smooth hair, but the hair of a sloth is pitted or grooved. Green algae live in the grooves – which helps the sloth blend in with its leafy environment. It’s good that they tend to stay high up in the trees – safe from fierce hunters like jaguars and ocelots. Slowness would make them vulnerable on the ground – which is perhaps why the ground sloths that used to roam North America are now extinct.